Description: DOS RIOS RANCH - RIO GRANDE RIVER PASTURE You have heard the stories of legendary Judge Roy Bean "Law West Of The Pecos", now you can live the legend and own some of the same property traveled by the Judge, his cronies and outlaws that stood before the "Hanging Judge". 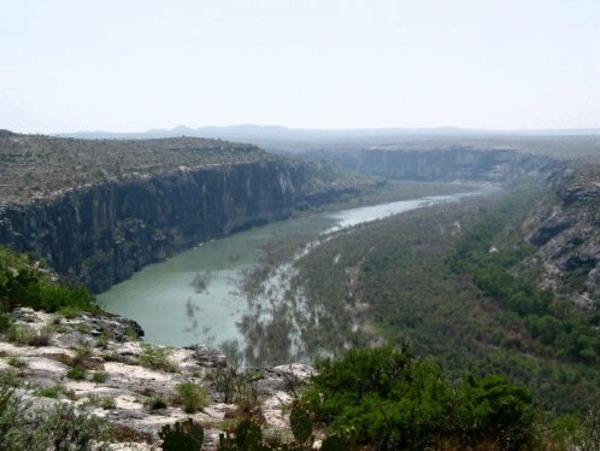 The ranch is located 10 miles east of Langtry, 8 miles from the Pecos High Bridge and 45 miles west of Del Rio. 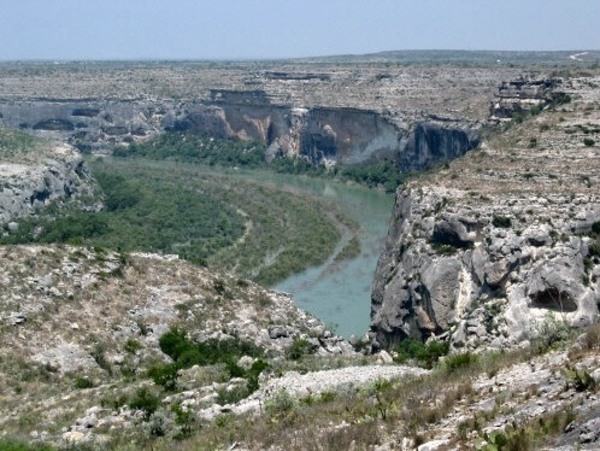 There are spectacular views of the Rio Grande River Gorge from just about every tract on the ranch. 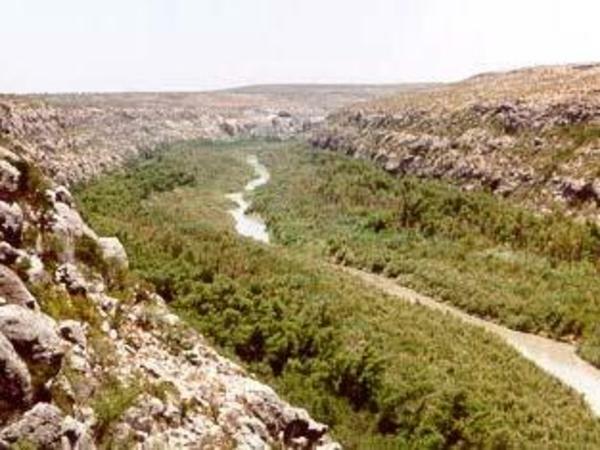 This portion of the river is part of Lake Amistad and the Amistad National Recreational Area. 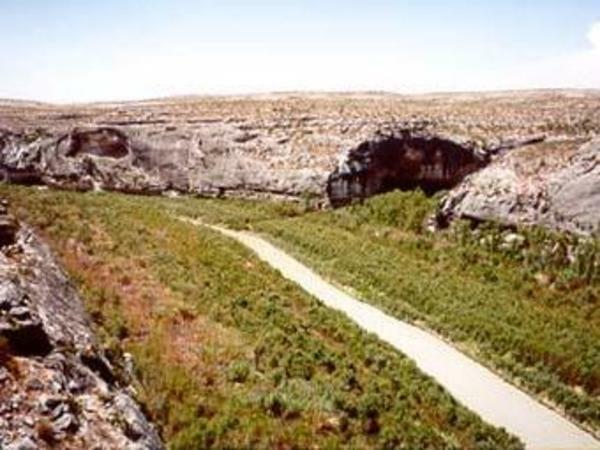 The Trans Pecos area was originally inhabited by primitive Indians 3-4,000 years ago. 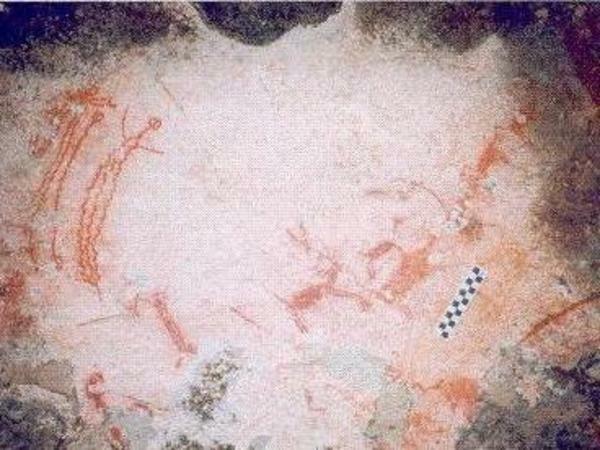 Their presence can still be found in the numerous caves and burnt rock middens found along the Rio Grande River and deep canyons on the ranch. 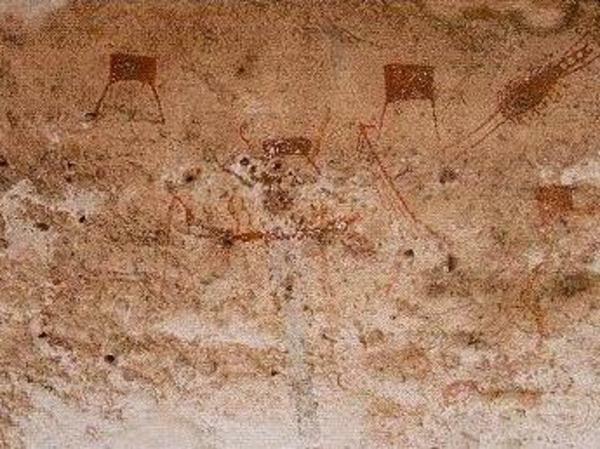 Pecos River Style rock art which dates back to about 3000-4000 years ago, the earliest religious art in the world. These pictures were taken on the ranch. Hunters will find an abundance of game on the ranch including whitetail deer, mule deer, javelina, quail and dove. 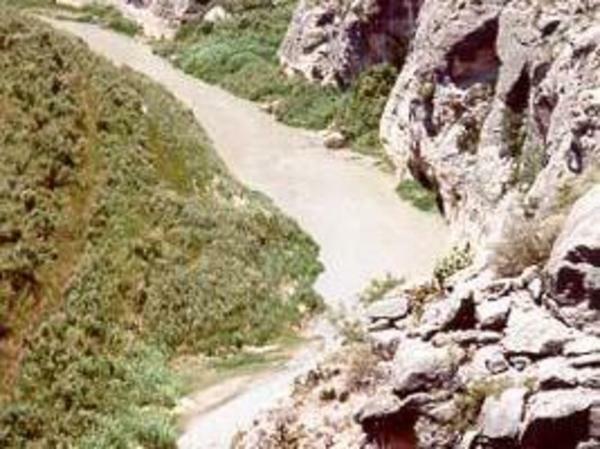 Access to the Rio Grande River is limited to hiking, pack lots of water and have fun. All property owners in Dos Rios Ranch, Rio Grande River Pasture will also have access to the Pecos River located north of Hwy. 90. There is an easement retained for road access down to the water on the Pecos River. 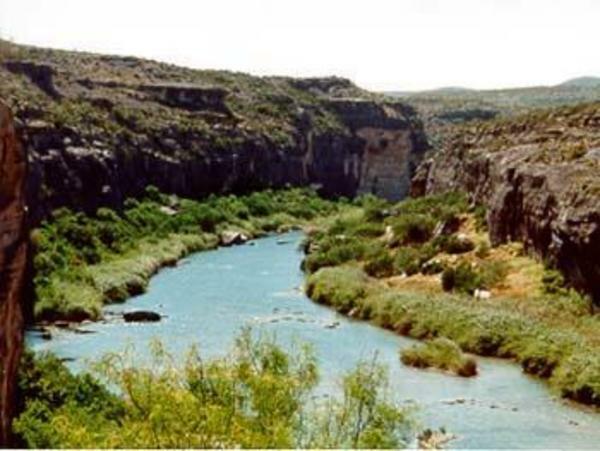 This is a very unique ranch where you have access to the Rio Grande River and the Pecos River, due to the location of the two rivers and the geography of the area you will never see another ranch which offers this again. Amenities: Access to the Pecos River weir Dam. 2. Hunting of all kinds for all game or other animals, whether on foot or by vehicle, is prohibited on or from roads in Dos Rios Ranch. That the above property herein shall not be used for commercial or day lease hunting or any manufacturing purposes. 6. No noxious or offensive activity shall be carried on upon any tract nor shall anything be done thereon which may be or become an annoyance or nuisance to any adjoining tract. No tract shall be maintained or utilized in such a manner as to violate any applicable statute, ordinance or regulation of the United States of America, the State of Texas, the County of Val Verde, if applicable, or any other governmental agency having jurisdiction thereof. 11. PURCHASER hereby authorizes SELLER and/or Assigns to charge each property owner a maintenance fee of $.50 per acre, per year, not to exceed $150.00 to improve and maintain the highway entrances, roads, wells, water lines, storage tanks and any other maintenance deemed necessary by the Property Owners Association in the Dos Rios Ranch Subdivision. Such charge shall not be assessed against SELLER and/or Assigns. Such charge shall be made by direct billing to the property owner. If PURCHASER refuses to make said payments, PURCHASER hereby authorizes SELLER, at SELLER'S option, to deduct such charge from payments made by PURCHASER, and any such charge so deducted will not be credited to the payment on the balance due on the purchase price, principal or interest. It is understood and agreed that this maintenance charge (if not paid within 60 days of billing date) shall become a lien against the tract being conveyed, permitting SELLER and/or Assigns such rights to enforce said liens as may be set forth in Sec. 51.002 of the Texas Property Code, as amended time to time. 12. That at such time as Seller may determine at his sole discretion, the Seller shall have the authority but not the obligation to notify each tract owner of the time, date, and a place of a meeting of all tract owners to be held for the purpose of organizing a Property Owner's Association. A majority of the votes of the tract owners in attendance at such meetings or by written proxy shall be sufficient to transact business at such meeting. Each tract owner, including Seller, attending or represented by written proxy at such meetings shall have one vote for each tract owned by such owner on all business to come before the meeting. Upon the creation and organization of such organization, as non-profit corporation, or otherwise, Seller shall transfer and assign to the association the current balance of the maintenance fee collected, if any. Thereafter such association shall have the power, authority and obligation to maintain the roadways of the development and collect the maintenance assessment. All such assessments upon any tract in the development shall become the personal obligation of the owners of such tract and such association is hereby granted a lien upon each lot to secure the payments of such assessments, permitting said association such rights to enforce said liens as may be set forth in Sec. 51.002 of the Texas Property Code, as amended time to time. Tell me more about this property, Dos Rios Ranch SOLD OUT, for sale.